Designed for carrying out energy audits, the AL-2VA logger is also used by facilities management, electrical and site services and maintenance engineers to monitor energy consumption of appliances, helping them to understand and record energy consumption and diagnose any related issues. As the product records both voltage and current, users can determine if low voltage is related to high current demands on site, or if the low voltage is being supplied to the site. Shipped with UK Plug as standard, other plug-types available on request (including IEC-6H for a small surcharge). 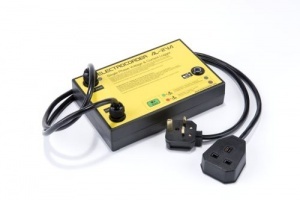 300Vac & 13Aac single phase voltage & current logger (15A for Euro/IEC6H plug type). 30V to 300V voltage range. 3W to 3kW power range. Ideal for domestic appliance logging. Complete with USB lead & software for data upload. Records true RMS Iavg, Imax & Imin to 3%. Includes Electrosoft software with database.